Can iCloud Be Removed? Find the Best Answer Here! If you have purchased a second-hand iPhone from eBay or a friend and found that the iCloud is still on the device, then don’t worry about can iCloud be removed because you can bypass or remove iCloud account from it even if you cannot contact the previous owner of the device or you do not know the Apple ID and password to remove the account. 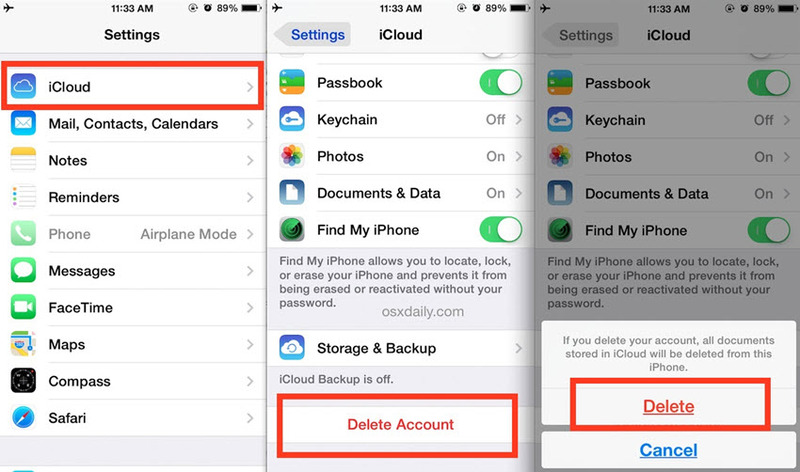 There are several ways to remove iCloud from iPhone. You can either remove it via the official way or use a professional third-party iCloud removal tool for this purpose. Which method you choose for this purpose depends entirely on your needs. Short answer, yes. Removing iCloud from an iPhone is possible. iCloud Activation Lock was introduced by Apple at the start of 2014. This feature allows the device to be locked to the owner’s personal iCloud account. Obviously, iCloud can be easily removed if you know the login details of the device’s owner. However, removing iCloud from an iDevice is relatively difficult when you don’t know the Apple ID and password. All in all, iCloud can be removed from an iDevice and there are two primary ways to do it i.e. iCloud activation removal via the official way and iCloud account removal via a third-party Apple ID removal tool. If you know the Apple ID and password being used in your iPhone, then you can easily remove iCloud from the device via the official way. In the official way, you don’t need any third-party tool or computer in order to remove iCloud. All the steps are performed on the iDevice. The process is straightforward. Before proceeding to remove iCloud from your iPhone via the official way, it is recommended that you back up your iPhone so that there is no risk of data loss. Step 2: Navigate to iCloud and tap on it in order to open it. You may need to provide Apple ID and password to proceed. Step 3: Now scroll down and find the option called ‘Delete Account’ and tap on it. Step 4: A confirmation pop-up will appear after the above step. Tap on the ‘Delete’ option on the pop-up to confirm your action. Again, you may need to provide Apple ID and password to proceed. After this step, the iCloud account will be removed from the device. As mentioned before, removing iCloud from an iPhone is possible even if you don’t know the Apple ID and password being used in the device. For this, you will need to use a third-party Apple ID removal tool. iiMyFone LockWiper is a recommended choice in this regard. LockWiper was originally designed as a professional iDevice screen lock removal tool but with the new update it now allows you to removal Apple ID account and iCloud account from any iDevice conveniently, even without password. There are many features of this powerful tool. Remove iCloud from any iDevice quickly and conveniently, even if you don’t know the Apple ID or password being used in the device. Remove Apple ID from a second-hand iPhone, even if the previous owner is not present. Bypass the lockscreen of any iDevice quickly within a few simple steps. All kinds of screen locks can be bypassed/removed via this tool. Supported locks include 4-6-digit passcode, Touch ID, as well as Face ID. 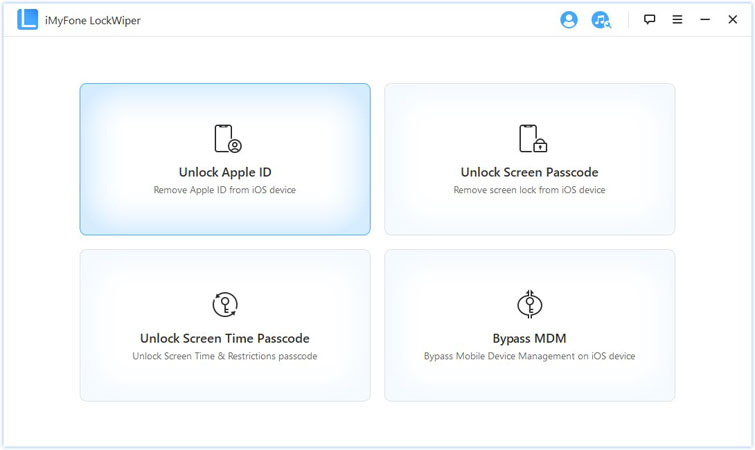 Removing iCloud from iPhone or bypassing any kind of iPhone screen lock is easy as 1-2-3 via this tool. Step 2: Connect your iPhone to your computer via a compatible USB cable and make sure the operating system detects it. Step 3: Click on Unlock Apple ID mode from the main screen of LockWiper. Step 4: On the next screen, click on Start to Unlock button to proceed. The iCloud removal process will begin. There could be several reasons why you wonder “Can iCloud be removed?”. The good news is, there are several ways to remove it. If you know the Apple ID and password being used in the device, then you can use the official way to remove iCloud from your iPhone. On the other hand, if you don’t know the password, then it is recommended that you use third-party software iMyFone LockWiper. This tool will help you remove iCloud from your device with ease.